If there was a Grand Cru in Pommard this would undoubtedly be it, and in years like 2009 you could make an argument for it. 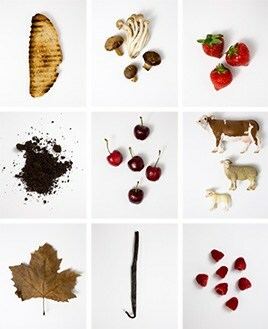 This is where Ben Leroux really puts his genius to work; the completeness is overwhelming. As in 2005, Ben has crafted something quite magical. A very intense, multi-layered nose reaches down to a profound palate and, although this is evidently very rich in fruit, there is something very stylish about it. There is a vast range of fruit on the palate, even a hint of licorice, leading to an extraordinarily vibrant finish. This may be Benjamin Leroux’s best ever Clos des Epeneaux. The Wine Advocate - The 2009 Pommard Clos des Epeneaux is flat-out beautiful. Layers of racy, exotic fruit caress the palate as the wine opens up in the glass. The 2009 is quite typical of the year, yet possesses fabulous overall harmony. Although exuberant today, the Clos des Epeneaux will deliver tons of pleasure for many years. Anticipated maturity: 2020-2030. The family of the Comte Armand has owned the vineyard of Clos des Epeneaux in Pommard since 1826. The vineyard wasn’t replanted post-phylloxera until 1930, but has since confirmed its rating as one of Pommard’s very finest sites. After many years when the Clos des Epeneaux was the sole wine made at the domaine, further vineyards were acquired in 1994: Auxey-Duresses, Auxey-Duresses Premier Cru, Volnay and Volnay Frémiets. The younger vines from the Clos des Epeneaux are also sold as Pommard or Pommard Premier Cru. 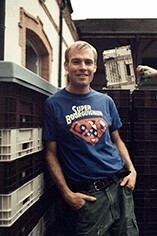 The modern era began under Pascal Marchand (whose first vintage was 1985), followed by Benjamin Leroux and now Paul Zinetti, Benjamin’s second-in-command. Each has left their mark: Pascal Marchand elevated the domaine, making it the greatest Pommard estate, and Benjamin Leroux oversaw conversion to biodynamics (certified from 2005). Since 2014, Paul Zinetti has been at the helm, and a subtle but discernible change is underway. The Clos des Epeneaux’s famous dense, rich, tannic composition, so individual and impressive, is being gently moderated towards a wine that will be accessible a little earlier, while in no way undermining the ageability of one of Burgundy’s great terroirs. The firmest tannins are less evident after only gentle pumping-over and a very limited number of punch-downs. A new de-stemming machine is also delivering much better quality whole berries. The most powerful red wines of the Côte de Beaune emanate from Pommard, where complex soils with a high proportion of iron-rich clay produce deep-coloured, relatively tannic wines. 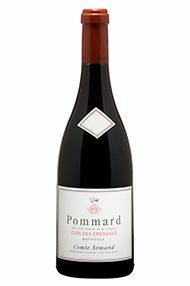 A Pommard that is ready to drink in its first few years is probably not going to be a great example of the appellation. Two vineyards stand out: the lower part of Les Rugiens, which has been mooted for promotion to Grand Cru status, and the five-hectare, walled Clos des Epéneaux, monopoly of Comte Armand.